Capitalism has amazing eyes. These eyes have 360° vision and can focus right at home or around the world. It wasn’t a surprise that, when they caught in their peripheral vision people traveling to other countries for cheaper priced cosmetic surgical procedures, concierge companies would spring up to help facilitate the entire process. For a fee, of course. Californians who cannot afford American prices for cosmetic surgery or bargain hunters who simply want to pay less for cosmetic surgery, sometimes choose to travel across the border. Their motivation is simple – cheaper prices. This is called “medical tourism.” The lure of amazingly inexpensive surgical prices is even stronger if consumers live only a short drive away from the border. If consumers live in a very expensive state, such as California, it makes the short drive to that unbelievable bargain price all the more appealing. Why in the world should I pay more for the exact same cosmetic procedure here in America? One of the things that distinguishes medical and surgical care in the United States from other countries around the world is the strict regulatory climate we have here in America. Our government regulates and safety checks our medical care to an extreme degree. Doctors must be licensed, specialists must be certified, hospitals must be accredited1, surgical centers must be accredited, anesthesiologists must to credentialed, and medications must be FDA approved.2 American sterilization equipment (used to sterilize surgical instruments to prevent transmission of infectious disease) must meet extremely high standards and must undergo frequent auditing by strict American regulatory agencies. These activities are administered by a paid workforce, which unfortunately drives up the cost of our healthcare. This is why American hospital Band-Aids cost $20. When costs rise, the profit motive means passing these costs on to the consumer. On the flip side, the US Constitution mandates that the government “promote the general Welfare” of its citizens and, while this inflates prices, it also prevents a wild, wild West atmosphere where competitors shoot it out without regard to bystanders caught in the crossfire. In healthcare, while ridiculously expensive American hospital Band-Aids may be a big deal, so is doing things right. Another example of doing things right is the fact that it is truly hard for breast implant manufacturers to jump over American quality control hurdles. Only a handful of breast implant manufacturers are allowed to actually sell breast implants in the United States, all of which had to pass grueling quality control tests. Those implants that passed the tests received approval by the FDA (U.S. Food and Drug Administration). Applying for and gaining FDA approval is a very expensive process (for the implant companies). The price of these FDA approved breast implants is obviously high compared to foreign breast implants that are not allowed to be used or even sold in the United States (i.e. they did not pass the FDA quality control tests). When one crosses the border for surgical care to a developing country, these same stringent quality control requirements simply do not exist. Nowhere is this more important than in cosmetic surgery abroad, because it is elective surgery, usually on those who have their whole lives in front of them. Bad news (complications) travels fast and in today’s world of “breaking news,” the complications of surgery abroad—just as there are complications at home—make for sensational news. Real estate agent Laura Avila, 36, had been in a coma since Oct. 30, when something went wrong during a rhinoplasty procedure in Mexico. Family members told KVIA there was a problem as Avila was being administered anesthesia in Mexico that left the 36-year-old in a coma with severe brain damage. Family members told the Morning News that Avila chose to get her procedure done in Mexico because it cost less than one-third of the price she could find locally in the United States. She was transported back to the United States in a coma and eventually died. In a published retrospective study, Kimberly Ross, Orgill and colleagues evaluated patients who had been treated at Brigham and Women’s Hospital over the last seven years for complications or complaints associated with plastic surgery performed in a developing country. Of the 78 patients evaluated, the most common complications were seen following abdominoplasty (35 patients) or breast augmentation (25 patients). Complications included infections, pain and wound-healing issues. Fourteen patients presented with infections at their surgical sites, including infection from multi-drug resistant bacteria. Eight patients required the removal of damaged tissue or foreign objects from the wound site. On a personal note, my private practice of plastic surgery is located in Southern California. One of my offices is in the Palm Springs area – within a short two-hour drive to the Mexican border (about 100 miles). Because of this geography, I am in a unique position to frequently see the aftermath of medical tourism gone bad. I have served several terms as the Chief of Plastic Surgery of a well-respected major hospital and part of the duties of plastic surgeons who have active privileges at a major hospital is to take “ER call” for the emergency room (ER). Over the years, I have been called into the ER to see patients who traveled to Mexico for discount plastic surgery. These patients presented to our American ER with serious (sometimes life threatening) problems, including infections, wounds that pulled apart (dehiscence), abscesses, tissue that has turned black (necrosis), etc. The reason they gave for traveling to Mexico for cosmetic surgery was always the same – low prices. What makes American doctors a little bit special? Logic dictates that one should consider the education and training of the surgeon (and anesthesiologist) more important than the price he or she charges for their services. 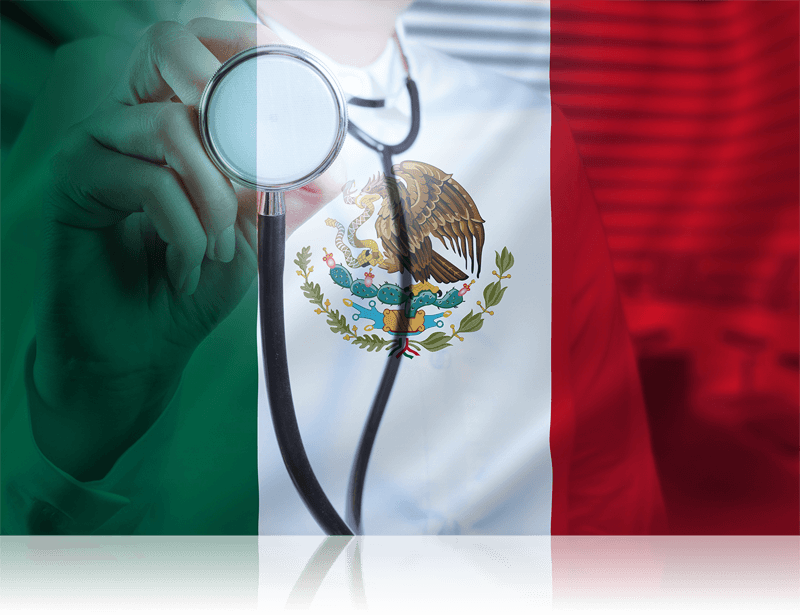 When you travel across the border for your cosmetic surgery, it is highly unlikely that your surgeon or anesthesiologist will be a United States medical school graduate. The pre-medical and medical education process for a United States educated medical doctor (M.D.) – meaning a physician who actually went to medical school and undergraduate university in the United States – is an extremely intense competitive process that very few people understand. I like to call it a “filtration process”. The American system of becoming a doctor is probably one of the most difficult and competitive educational systems in the entire world – even when compared with other fully developed countries such as England, Germany, Italy, France etc. In America, the brightest American college students battle it out to see who gets the best grades in the pre-medical core science classes (inorganic chemistry, organic chemistry, physics, biology etc.) and then they apply for only a few available spots at a United States medical schools. By the way, pre-medical students also need to produce an impressive score on a standardized national test called the MCAT (Medical College Admission Test). Just to “get in” to a United States medical school is a serious academic achievement nowadays. As far as the plastic surgeon’s training in the United States, formally trained American plastic surgeons strive to become board certified by The American Board of Plastic Surgery. The requirements to be granted board certification by this board are extremely difficult to achieve. This board has requirements for proper accredited training (my personal training was seven years of accredited surgical residency training after medical school graduation) just to be able to take the written and oral examination of this board. Again, I like to call this a “filtration process”. Even after passing all the tests, board-certified plastic surgeons need to constantly re-certify with further testing and practice audits every few years in order to stay board certified with The American Board of Plastic Surgery – this is called “maintenance of certification”. To check if your plastic surgeon passed all the vigorous training requirements and tests of The American Board of Plastic Surgery (even if they practice in the United States), consumers can simply log on to www.certificationmatters.org and run a quick search of the doctor’s name. Most consumers, however, either do not know or simply do not care if their cosmetic plastic surgeon has this credential. In addition, it is very confusing for consumers since non-certified cosmetic surgeons are frequently masters at touting other “board certification” claims with very similar sounding board names – but if you look closely at the specific words of their claimed “board” – the board they claim credentials with is not actually called “The American Board of Plastic Surgery”. I urge consumers to look at each individual word in the board name closely on ads and websites. More importantly, spending five minutes on doing an internet search of the surgeon’s name on www.certificationmatters.org is even wiser. That quick search will reveal the truth. Even those patients who travel across the border and simply show up to American emergency rooms when surgical complication arise are generally out of luck. Although the emergency room will certainly do all they can to try and save someone’s life, they (and the local American plastic surgeon on ER call) will not actually take over the surgical post-operative care of someone who had cosmetic surgery across the border. After saving their life, the patient will be told to return to their original surgeon (back across the border) to actually manage the surgical complication. As medical tourism continues to rise in popularity, conventional wisdom still dictates that if you can have the same surgery at home, you should. All those you know (family, friends, and—most importantly—your doctors) are here, which conjures the phrase, “Don’t leave home without them.” American hospital facilities, medical equipment, medications, surgical centers and anesthesiologists are among the best in the world. In many things in life, saving money and paying less for the exact same product/service is simply smart. Bargain price hunting for medical and surgical services, however, is simply not a good idea. The future consequences of what seemed like an amazing price deal can be truly devastating. I have seen the consequences of medical tourism with my own eyes and they usually aren’t pretty.